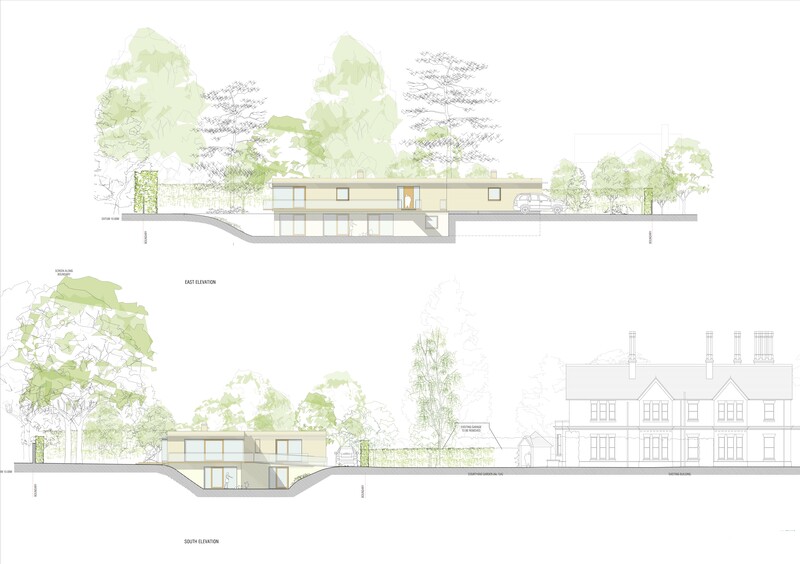 A new application for the site to the rear of No.12, new Road Esher. 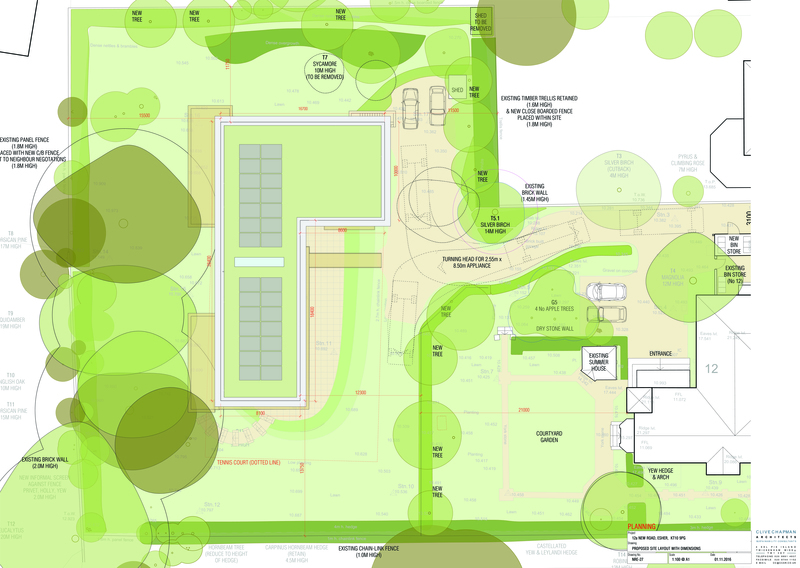 The site is currently an underutilised amenity space, including a dilapidated private tennis court and freestanding garage. 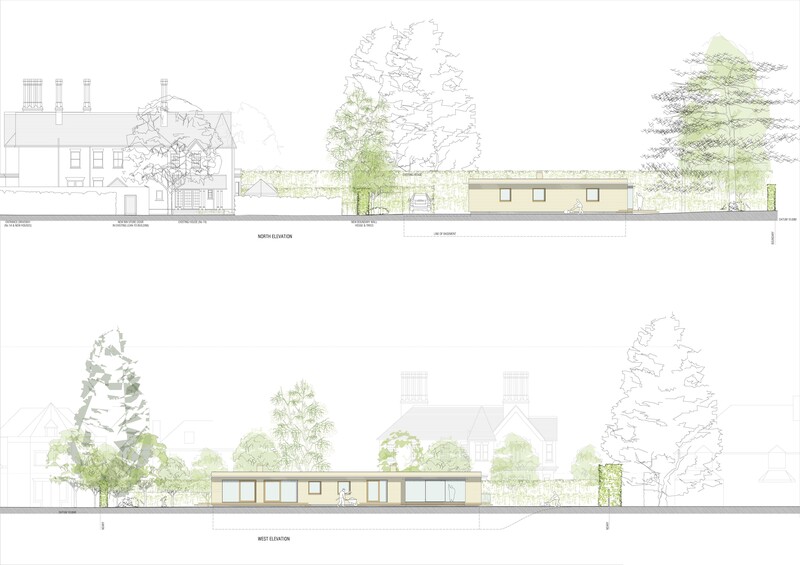 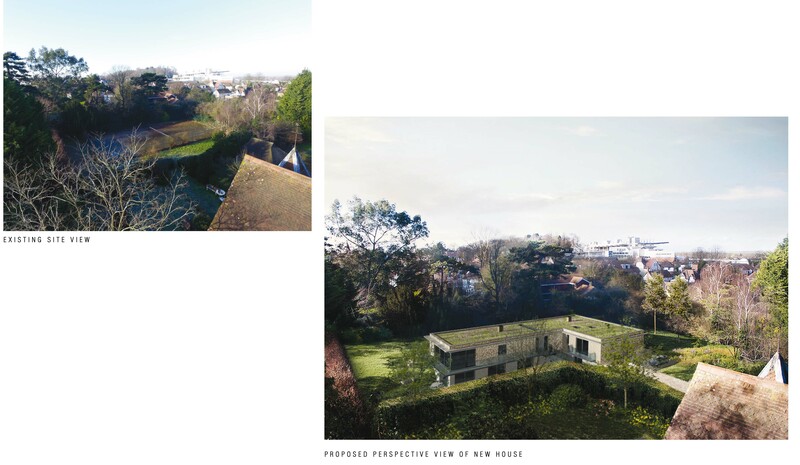 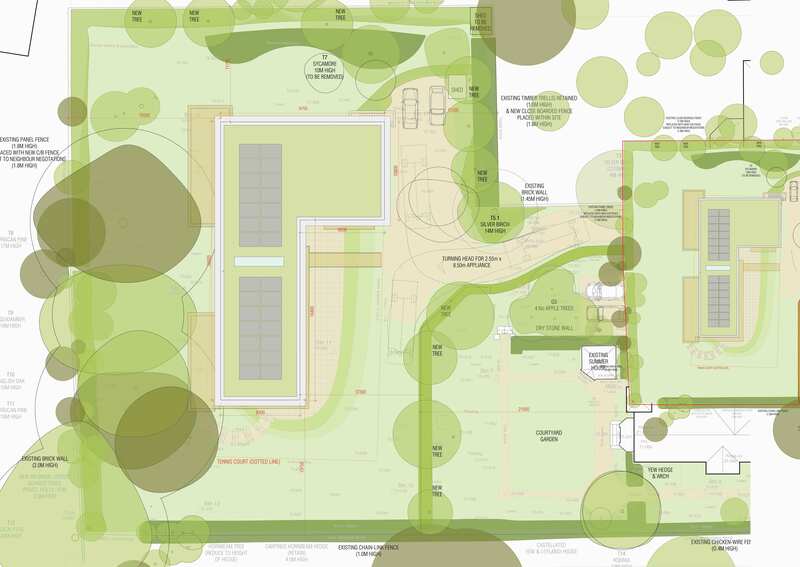 The proposals seek to demolish an existing garage and provide one, four-bedroom residential house (Use Class C3(a)), together with associated parking, gardens and additional landscaping. 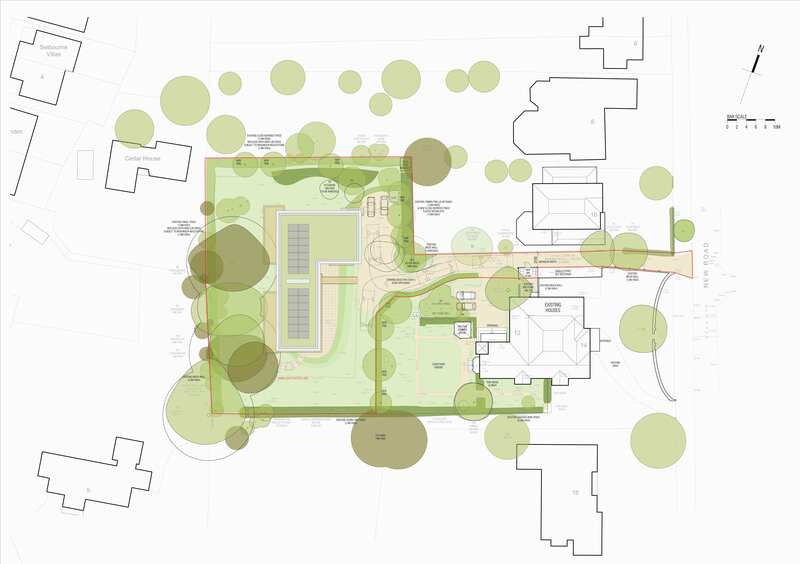 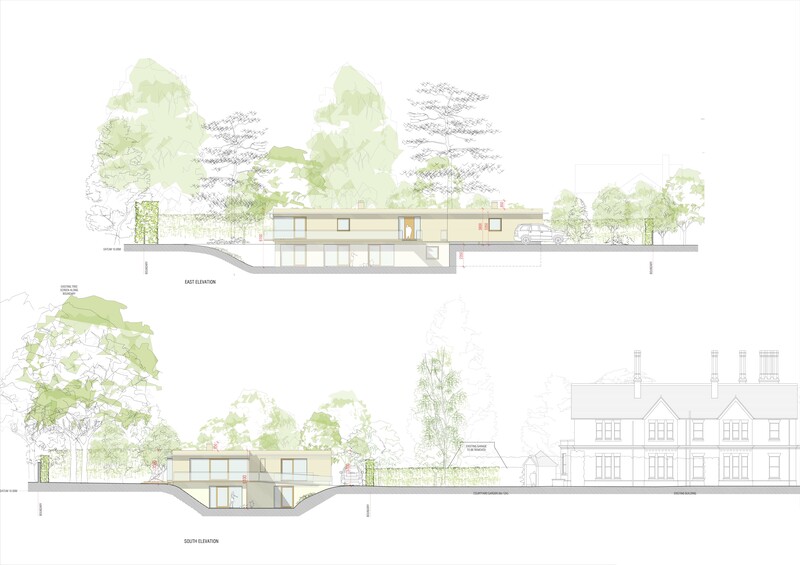 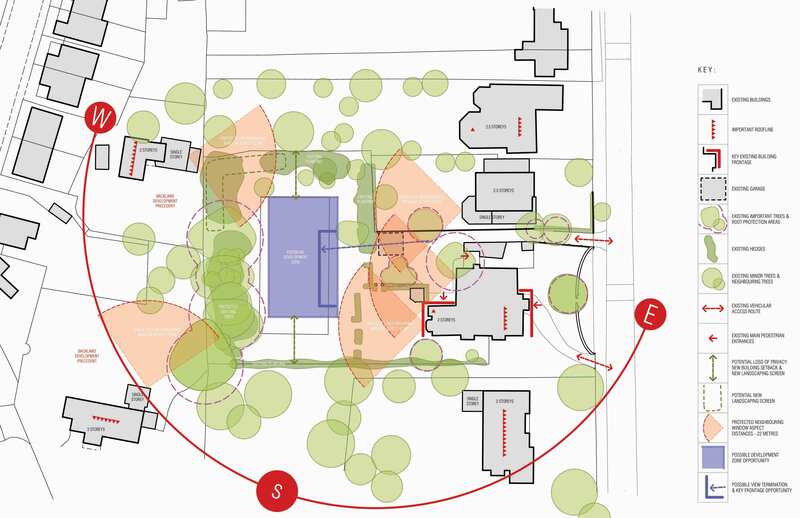 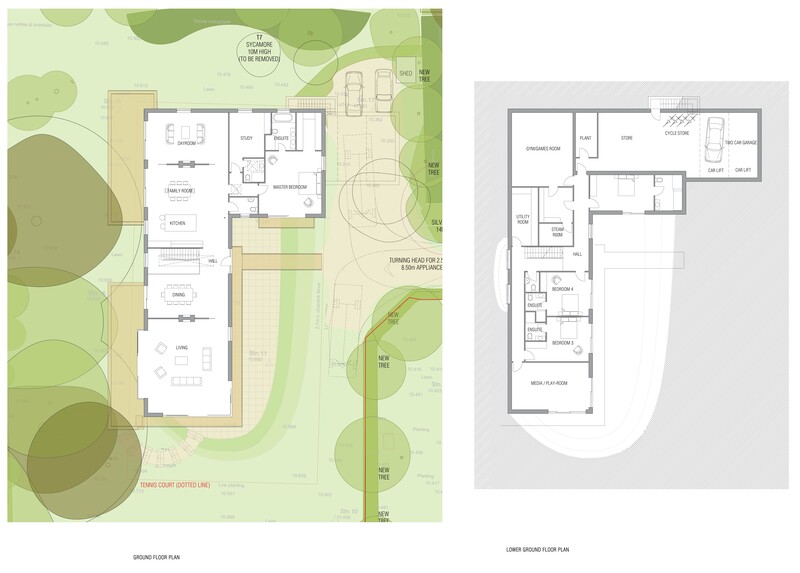 The new dwelling has been designed to respond to the scale and sitting of the existing building, whilst respecting the neighbouring properties, their gardens and the established landscaping around the perimeter of the site.